Ross & Cromarty Roots | Strathpeffer, Kinnettas. 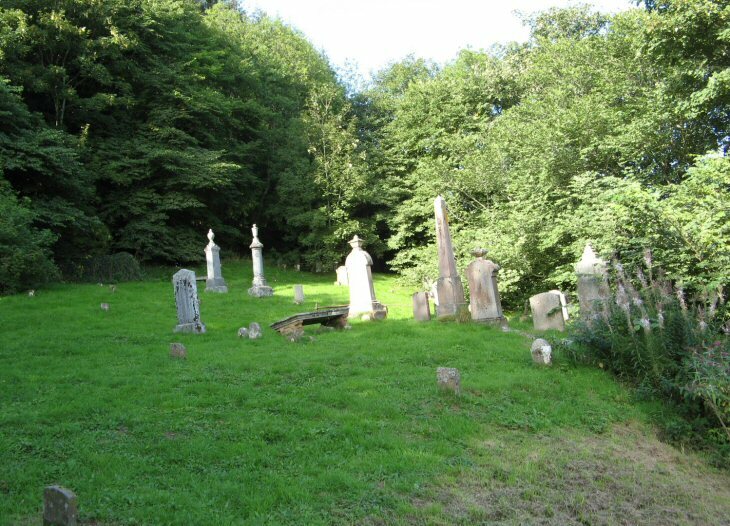 Kinnettas burial ground is situated on the SE-facing slopes of Ordhill on the NW edge of Strathpeffer. It can be accessed by a footpath starting opposite the Strathpeffer Golf Clubhouse, or, more directly, from a side road (2nd left off road from Square to the golf course). Picture Added on 08 September 2008. I'm looking for any kind of info on which church this graveyard was used by. I've seen a comment on Strathpeffer village website saying it was connected to Jametowns Free, but I can find no proper documentation of this. It also obviously predates this, as the kirk appears in Court records from the 17th C.
Added by Lori Kent-McPherson on 31 March 2015. Is there a record of who is buried in this and other local grave yards? Added by Ray McLennan b 12.04.1950 (Kaitaia, New Zealand) on 18 November 2015. Hello Ray. Click on Albums on Main Menu and scroll down to Strathpeffer, Kinnetas. HFHSoc may also have records of interest, see under Links. Added by Roddie on 19 November 2015.